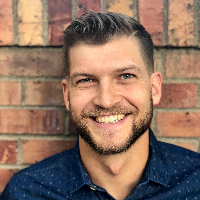 My name is Michael Heckendorn, and I am a Licensed Professional Counselor (LPC) in the state of Colorado and a nationally certified counselor (NCC) through the National Board of Certified Counselors. I have over half a decade of experience in the mental health field in a variety of settings, e.g., community mental health, university settings, public schools, and private practice. I specialize in young adult complexities, and I consult in the field of Adventure Therapy. After receiving my bachelor and master degrees in psychology / counseling, I moved to Colorado and have been counseling young adults ever since. In establishing a meaningful therapeutic relationship with a client, I have 4 main goals: connect, reflect, challenge, and grow. I strive to connect with you through displaying genuineness, empathy, and non-judgment in all areas. An honest, unconditional rapport can make therapy feel more manageable for most people. I want to walk with you through difficult, new terrain toward authentic, personal growth --- a beautiful thing about life is that humans are incredibly resilient and have an exceptional ability to change, grow, and adapt. I utilize an eclectic approach to counseling, pulling from several different theories and modalities -- humanistic, logotherapy, choice theory, and trauma focused cognitive behavioral therapy. I specialize in several areas including mindfulness, self-concept, adventure therapy, and cognitive behavioral therapy. I use a variety of approaches because I recognize that not all strategies work for everyone. Plus, I want you to receive a therapeutic experience that suits you, specifically. If you're in new terrain, feeling a little lost, or even just needing a little extra guidance and direction, I would love to hear from you and help you on this journey. I feel like Michael listens to my issues and helps me to understand why the issues are there and how to fix them. I like how patient he is with me. He responds very quickly to my issues, I feel that helps with anything I am going though. Would you like to write a review for Michael Heckendorn? We'd appreciate if you can spend a couple of minutes to write a short review for Michael Heckendorn (LPC, NCC). This review would be shared with Michael Heckendorn. It may also be posted in our website or in Michael Heckendorn's profile but it would be anonymous and your identity would be kept completely confidential.